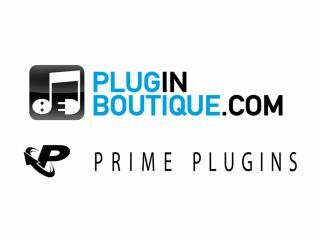 Plugin Boutique and Prime Plugins both sell software from multiple companies. Most plug-ins can now be purchased online (indeed, many now have to be bought in this way), but traditionally, transactions have been made via manufacturers' websites. You may have noticed, though, that one-stop online plug-in stores are starting to spring up: places that enable you to browse and purchase from a catalogue of multiple companies' wares. In the UK, the major players in this area are Plugin Boutique and the newly relaunched Prime Plugins (formerly Sound Sonic). In order to help you establish what each store is about and what it offers, we spoke to the companies' respective head honchos: Prime Plugins CEO Ben Jay and Plugin Boutique MD Matt Pelling. Which companies' plug-ins can you buy through your store? Matt Pelling (Plugin Boutique): Currently plug-ins from Applied Acoustics Systems, Audiffex, Audio Spillage, Audiorealism, Blue Cat Audio, D16 Group, Flux, FXpansion, G-Sonique, Image Line, Kilhearts, Loopmasters, Melda Productions, MSI Instruments, Modsp, NuSofting, Ohm Force, PSP Audioware, Sinevibes, Skylife, Sonic Charge, Tekit Audio, TubeOhm, Volt Kitchen, Waves and Xils-Lab. Ben Jay (Prime Plugins): "We've got some of our favourite plug-in developers onboard: Native Instruments, Rob Papen, Ohm Force and FXpansion to name a few . We've auditioned literally 100s of providers and 1000s of products, and we've picked what we feel are the most current and ground-breaking products on the market today. Are you hoping to sign up other developers, and if so, who? BJ: "Absolutely! There are some amazingly talented software developers creating some really innovative software at the moment and we are backing them 100%. We are also extremely keen to represent and support the smaller brands too, and we're checking out new products all the time. In fact, every day! "A couple of forthcoming addition to the Prime Plugins catalogue are Waves and Toontrack. These guys are making some amazing stuff, loads more on the way too." MP: "We are looking to develop the Plugin Boutique over the coming weeks and months in many ways, including many functional, user and site upgrades, and of course, more plug-ins from some of the best manufacturers from all over the world." "These will include many more free plug-in providers along with software from the companies who we consider to be making the most creative, reliable and solid plug-ins at all price points." MP: "Currently the suppliers have a wide variety of authorisation techniques which makes a 'one size fits all' policy to be rather difficult to implement. "The short answer is that in many cases we have custom scripts which contact the host on the purchaser's behalf and handle the authorisation in one step. This is not currently the case with all of our providers, though, and on occasion a separate log-in is still sometimes required. This will improve in time as we work more closely with our suppliers in the coming months." BJ: "Good question! It depends on the product. We do want customers to register their products with the manufacturer to receive all the benefits that comes with their purchase. We have kept very flexible in all cases and everything has been super-streamlined, so that once you've purchased you're never more than a couple of clicks away from the prize. Easy. "And of course all your orders, downloads and history details are stored within your one Prime Plugins account." How are free and chargeable updates handled? BJ: "Well, that's an easy question with an easy answer! Most of our brands hold a record of customers via Prime Plugins and updates are automated. Our backend system is pretty smart... it makes sure our customers are kept aware of developments to get the best from their software. It's actually really simple." MP: "Updates are added to our system as they come out, and if its a free update you will be notified by email. Also, when you log-in to your profile, you have a history here of all updates, and if you find a previous version is working better for you then you can retrograde easily. "Paid upgrades are also available from your profile area, so it's easy to see that over time you can enjoy managing your plug-ins from one central place." Are there any other notable incentives for registering (eg, free content, additional website functionality)? MP: "All purchases at our store qualify for 5% virtual cash which remains in your account until you are ready to spend it either as part payment towards a larger purchase, or to buy a cheaper product in full. "Our range of free plug-ins is growing, and you can also download trial versions of most products directly from the site. "Periodically we will be doing other promotions, competitions and giveaways - sign up or follow our Facebook page for more details." BJ: "Naturally! Naturally! Would you like a free download of G-Sonique's XBass 4000L Bass enhancer? (This thing is awesome, if you're a fan of bass and your stomach can handle it!) Everyone gets one when they register. Would you like 250+ hand picked samples from our sister company Prime Loops? Then sign up to the newsletter! We also just ran a competition where we gave away Komplete 8 (worth £399) just for signing up! We're doing loads of stuff each month... you know how we do it! Prime Style! Oh, and we're also launching quite a unique loyalty scheme that we're really excited about… more to be revealed soon!" How do prices in your store compare to direct download purchases from manufacturers' websites? BJ: "We work closely with our brands on their promotions, but also due to our audience reach we're also able to offer exclusive promos and unbeatable prices that cannot be found anywhere else. Our prices are extremely competitive at all times; if you find a better price anywhere else, just let us know." MP: "They compare well and are in sync with the manufacturers' prices. We are also proud to be running some exclusive bundles and discounts which can be seen on the site and in our press ads." Finally, could you briefly summarise why you think a customer should buy their plug-ins from you rather than anywhere else? MP: "Plugin Boutique is a site where you can compare and contrast plug-ins from many companies in one place. You can read reviews, rate the products and watch videos, tutorials and interviews with the people who are using them right now. Managing your plug-ins in one place is a great idea, and getting a loyalty discount in the form of virtual cash means that it also makes financial sense. "This is just the start for pluginboutique.com and we have many updates planned in the next few months which will demonstrate that we are paying attention to the needs of suppliers and customers in order to create the perfect customer environment to sell exciting music software online directly." BJ: "Simple! Our website, our products, our deals, our team! We've hand-picked the best brands in the marketplace and the best products from those brands so that you don't have to. "We've spent a long time developing our website which is super-easy to browse and use. As we are a new company, we're constantly making improvements and taking feedback from customers. This is really important to us. We want to provide the best experience online. Oh, and we've got simply amazing deals! "Most importantly though, our London-based team of hand-picked professionals are 100% in-tune with today's evolving music production scene (every single one of us comes from a music producer, artist or label background) and this enables us to audition each and every plug-in before it hits the website at Prime Plugins so that when you get plugged in, you know it's Prime."